Celeste Marie Sewell Montgomery, 67, of Savannah, Georgia and wife of George Wilbur Montgomery, Jr., died Friday morning, October 19, 2018, at her home and surrounded by her family. Born in Rock Hill, South Carolina, she was the daughter of the late Dr. Gaines Eldridge Sewell, Jr. and the late Loretta Morgan Sewell Groves. Celeste was a communicant of St. James Catholic Church. She and George were married on November 3, 1972. 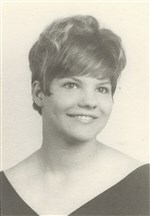 Celeste graduated from St. Vincent’s Academy and attended the University of Georgia. For more than twenty-nine years, she was a medical transcriptionist in radiology at St. Joseph’s Hospital. Celeste enjoyed drawing, playing guitar, singing, and spending time at the beach and the mountains with her family. In addition to her parents, she was preceded in death by a brother, G. Gregory Sewell. Survivors include her husband of almost forty-six years, George W. Montgomery, Jr.; four daughters Melanie M. Belveal and her husband, Brad, Melissa M. Smith, Michelle M. Nichols and her husband, Ricky, and Kimberly Stevens Scott; three granddaughters, Victoria, Elizabeth, and Katherine Belveal, and one grandson, Alex Smith. The Rosary will be at 5 o’clock Monday in the chapel of Gamble Funeral Service – 410 Stephenson Avenue, with the family receiving friends afterwards until 7 o’clock. The funeral service will be held at 7 o’clock Monday evening in the chapel of Gamble Funeral Service. Interment will be at 10:30 Tuesday in Forest Lawn Memory Gardens. Remembrances: Hospice Care of Georgia – Suite 4, 9998 Ford Avenue, Richmond Hill, Georgia, 31324-4063 or St. Vincent’s Academy – 207 East Liberty Street, Savannah, Georgia 31401. I am so sorry for your loss George. I remember Celeste from back when we were kids. She was a very good person. You and your family will be in our prayers. My condolences to the family. Celeste was one of the kindest people to Mr whwhile I worked at St. Joseph. She will be missed. George, I’m sorry to hear of the passing of Celeste. She was always so sweet. Prayers for you and your family. We are so sorry to hear of your loss. You will be in our thoughts during this time. So sorry of your loss of Cleste. Our backyards were across the lane. The Sewells lived on 59th street and my house on 60th street. We were playmates as children with Greg. He would come to the “tea parties” if I would rides bikes with him later. I will always remember when Christmas came around, and they put up the Christmas Tree. The living room had high ceilings and the tree was huge and there was a big picture window in the living room. Good memories. I married and left since my spouse was in the military. Didn’t return to Hinesville, GA until 1966. So I lost touch. Cleste sounded like a beautiful (inside and out) and a loving person. Condolences to to her husband and daughter’s..
George, I am so sorry for your loss of your beautiful wife. My thoughts and prayers are with you and your family. and a cat lover.If you needed anything in the neighborhood,George was the mayor. St, Joseph’s hospital. I loved to see her smiling face. We will pray for your family.